Sleep Less. Read More. 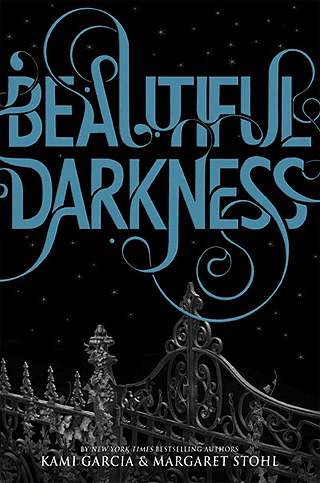 : Beautiful Darkness Cover! Some secrets are life-altering.... others are life-ENDING. Ethan Wate used to think of Gatlin, the small Southern town he had always called home, as a place where nothing ever changed. Then he met mysterious newcomer Lena Duchannes, who revealed a secret world that had been hidden in plain sight all along. A Gatlin that harbored ancient secrets beneath its moss-covered oaks and cracked sidewalks. A Gatlin where a curse has marked Lena's family of powerful supernaturals for generations. And now that Ethan's eyes have been opened to the darker side of Gatlin, there's no going back. That little summary came from beautifulcreaturesthebook.com. I find it incredibly disappointing because all it does is summarize the first one, Beautiful Creatures. It tells me nothing about Beautiful Darkness. I'm hoping we get something new and more revealing soon! I love this cover! It looks great with Beautiful Creatures! I'm so excited! Beautiful Darkness is set for release on October 26th 2010!